I am one of the many. A human who walks on the face of the earth. 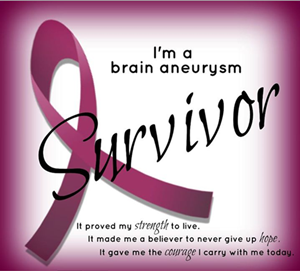 I am a ruptured brain aneurysm survivor. One of the lucky few who survived. And I want to create awareness that Brain Aneurysm do exists! And it is like a thief in the night that could take everything away in an instant. Unannounced. I've been criticized in the past for always sharing my story to everyone who cares to listen. Maybe, I was so desperate to save other people's lives. Forgive me. I only felt that by sharing to everyone my story, he or she might in turn share it with others and the cycle goes on and on. To all of you, my dear readers, if you have symptoms like, for example, a recurring headache. And you have the money, please o pretty please have a brain scan and show it to your neurologist for proper interpretation. If you have brain aneurysm, then by all means undergo surgery. If you don't, then praise God to high heavens. I know you would want to spend more time with your friends, family and love ones for a long long time. And it is one of your ardent wishes to be able to say goodbye to your love ones, then show your love for them by attending to your health, now na! Here is my story. Please click here! Thank you!